OTTAWA — Skyreader Media is hoping to jump-start a fresh wave of growth in the world of eBooks. The Toronto company, which is a subsidiary of Skywriter Media & Entertainment, does its software development here in Ottawa and is preparing for the launch a new software product that will allow publishers to automate the creation of electronic books for iPad so they can be released far more quickly than current methods allow. According to the company, publishers turn out more than 95,000 books annually and often have a hard time converting those to eBooks because of the cost. Using Skyreader’s services, a publishing company can release an animated book in as little as a week, for around $5,000. The privately held company employs 15 at its Ottawa offices and seven at its Toronto headquarters. The firm plans to double its head count over the next six months. Skyreader’s chief executive is Kevin Gillis, the creator of the popular ’80s TV show The Raccoons. Gillis is an Ottawa native who resides in Toronto. Gillis knows about the city’s deep talent pool for technology workers and artistic talent. He said that is what spurred him to set up Skyreader’s technical development team in the nation’s capital. The company will be launching its automated eBook software offering in the coming weeks. It hopes to licence its software to large publishing companies that are looking to sell their products into new electronic markets. 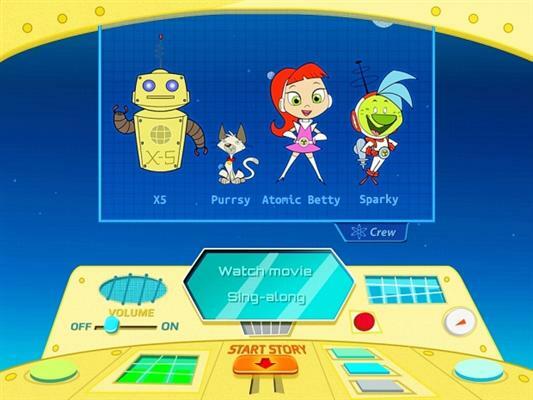 Prior to eBooks, Skyreader was involved in creating animation and TV shows for youth. It’s more popular creations included Jimmy Two Shoes, Captain Flamingo and Camp Lake Bottom. Aside from offering tools to allow publishers to make their own books, the company has licensed more than 5,000 children’s books which it will be gradually pushing out to the Apple Inc. App Store as animated storybooks in the coming months. The company already has 20 eBooks on the App Store, ranging from popular Cartoon Network character Atomic Betty and Robert McConnel’s Norbert Nipkin to self-created titles such as Banana Ninja and Coyote’s Tale. It has also signed well-known children’s book author Leslie McGuirk, who has written titles including Pip The Penguin and Wiggens learns his manners at the Four Seasons restaurant. The deals signed with McGuirk will see Skyreader release new eBooks based on the author’s characters. It is in the process of creating a new Wiggens book in partnership with the San Diego Zoo called Wiggens at the San Diego Zoo. The company believes by making eBooks more interactive, it can attract a younger generation of readers who are growing up with computers and technology. “This is taking stories and finding new ways of telling them to kids who, as you know, have grown up on computers and got away from the reading experience,” he said.